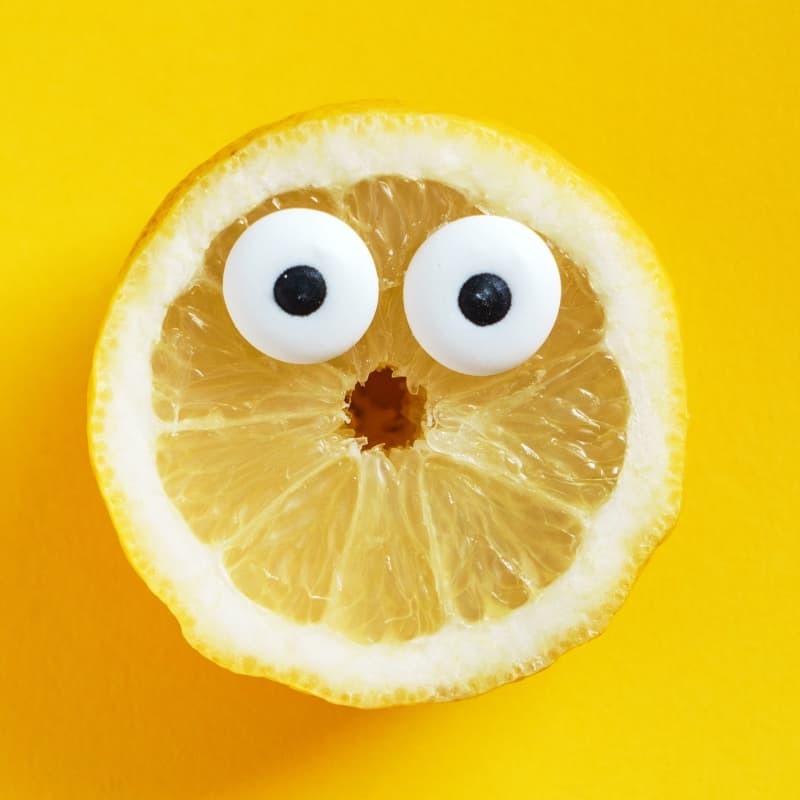 While you’re getting used to the Low FODMAP Diet, it can be hard to keep your breakfast exciting. 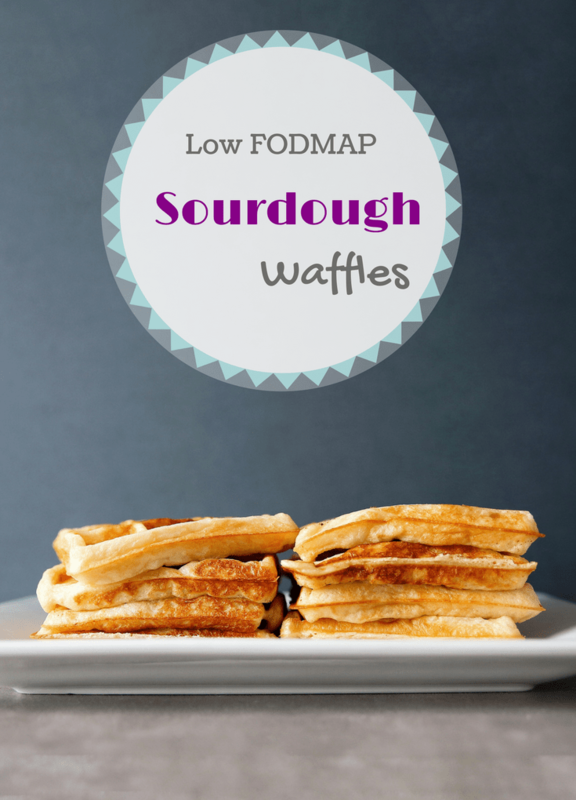 That’s one of my favourite things about these savoury low FODMAP sourdough waffles. With a few tweaks, you can put a tasty twist on this breakfast classic. I love this recipe because it’s so simple but its absolutely delicious. These sourdough waffles taste best when they’ve had some time to mellow in your fridge. So, make the batter the night before for the easiest gourmet breakfast you’ll ever have. 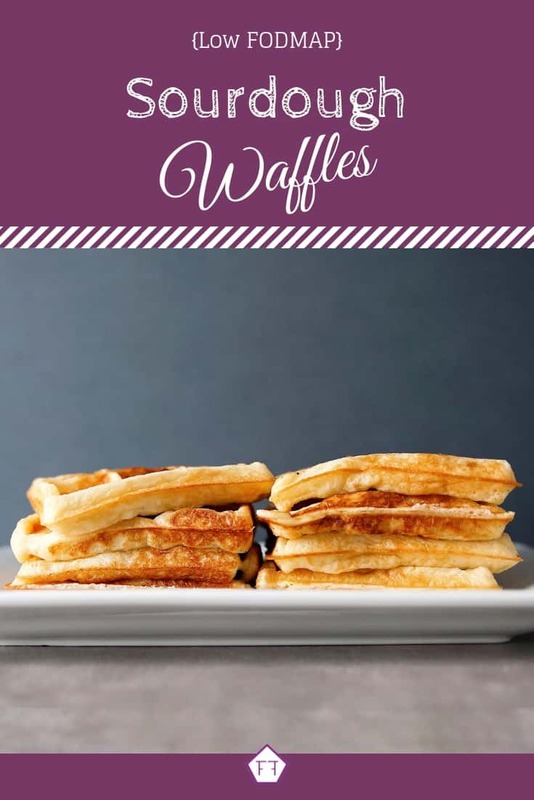 Give them a try at your next family breakfast or FODMAP friendly brunch. Trust me, these are worth waking up for. Think these low FODMAP sourdough waffles sound great, but you don’t have time to try them now? Don’t worry. You can PIN THIS POST for later. With a few easy adjustments, these low FODMAP sourdough waffles will brighten any brunch. 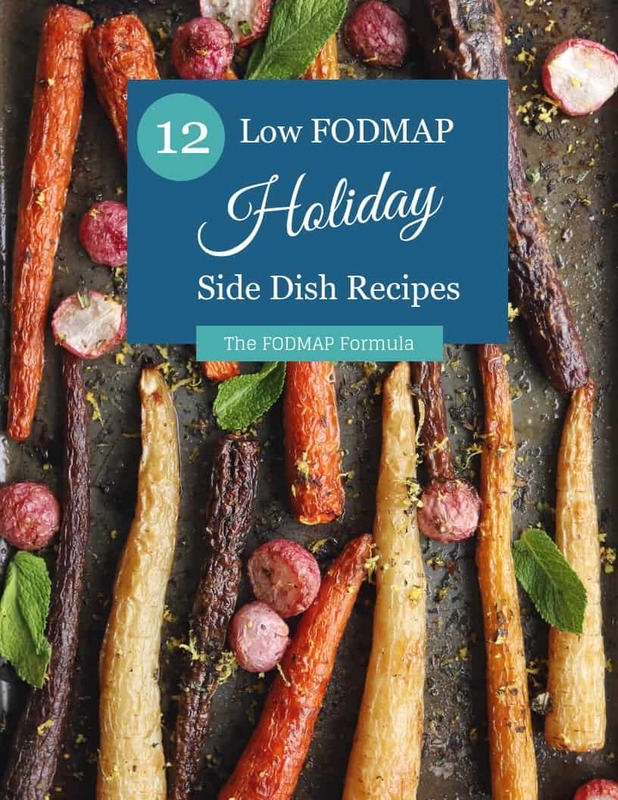 Check out the tips below to keep this recipe FODMAP friendly. First, if you’re in the elimination phase of the diet, you’ll need to use lactose-free milk. The fat content doesn’t matter for this recipe. So, use whatever you have on hand. This recipe also calls for a ton of butter. Don’t worry, though. Since butter is almost 100% fat, according to Monash University, it doesn’t have any FODMAPs. It’s worth noting, though, that fat itself can be a gut irritant. So, if you’re sensitive to high-fat foods, can cut two tbsp of butter and make these into sourdough pancakes instead. Last but not least is wheat. Even though sourdough bread is low FODMAP, you’ll need to use gluten-free flour for this recipe. In a traditional sourdough bread, the dough rises over a period of 24-48 hours. During this time, wild yeast break down the fructans in the wheat for food. We’re cheating and using active yeast to ferment the batter. This will create the tell-tale tang of sourdough bread, but, unfortunately, won’t lower the FODMAP content. If you want more information on the processing of sourdough bread, you can check out this article by Monash University. 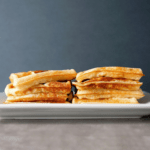 Want to try these low FODMAP sourdough waffles? Don’t forget to PIN THIS RECIPE for later. Take your breakfast or brunch to the next level with this delicious low FODMAP sourdough waffle recipe! Place yeast in the bottom of a large heat-proof bowl and add warm water. Let it stand for 5 minutes. Once the yeast has dissolved, whisk in the milk and butter. Followed by the flour and sugar. Continue whisking until a batter has formed, then cover the bowl with a damp towel. Place the towel-covered bowl in the oven and TURN IT OFF. The batter should rise in volume by at least half. Stir the batter again to deflate it, then cover the bowl with plastic wrap and refrigerate the batter for at least 3 hours (or overnight). When you're ready to make your waffles, let the batter stand at room temperature for 20 minutes while you heat your waffle iron. When the iron is ready, stir in the eggs and salt, pour the batter into the waffle iron in 1/4 cup batches, and cook according to your iron's instructions (remember to grease your waffle iron if needed). Serve warm! Your yeast should create bubbles after sitting for 5-ish minutes in warm water. If it doesn't, it isn't active anymore, and you'll have to start fresh. The batter can be refrigerated for up to 48 hours (Note the tangy flavour will increase the longer it sits). 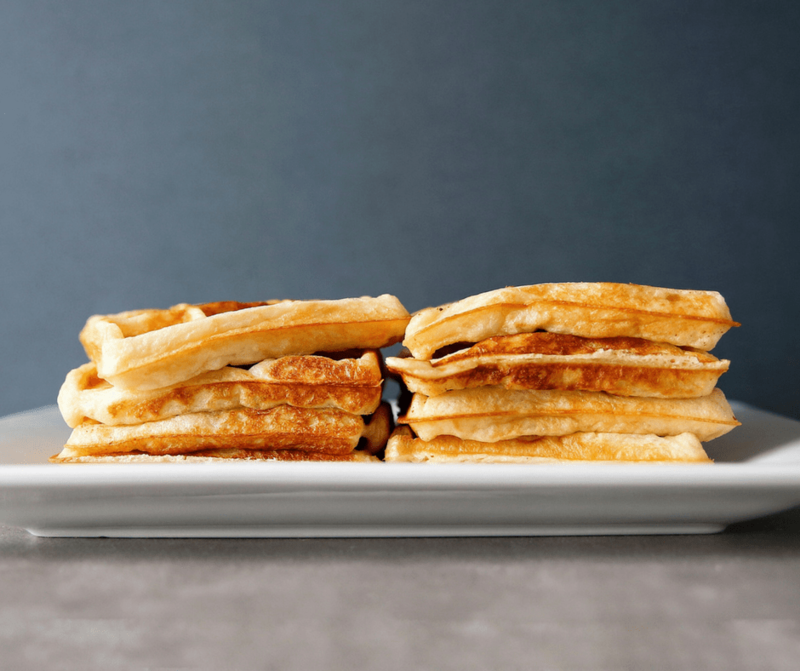 Take your next breakfast from awesome to epic with these low FODMAP sourdough waffles. If you like this recipe, sign up for my mailing list below. You’ll get new recipes and articles delivered right to your inbox. Want more breakfast inspiration? Follow me on Pinterest for even more breakfast ideas. Together we’ll get the Low FODMAP Diet down to a science!